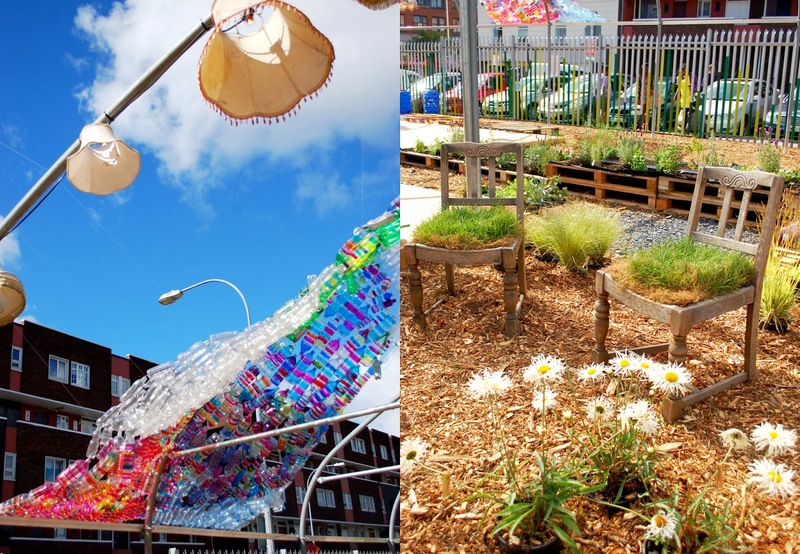 There is the most amazing pop up park in Dublin at the moment and it's not going to be here much longer! So I'd thought I write about it before it's gone. I'm aware it isn't food related but I love it so much that I'll make a little exception. Upstart is non-profit voluntary art collective who aim at promoting the importance of creativity and the arts in Ireland. They had the great idea of transforming a vacant space on Dominick Street into a pop-up park called Granby park. The initiative is a voluntary project that has been funded through donations. 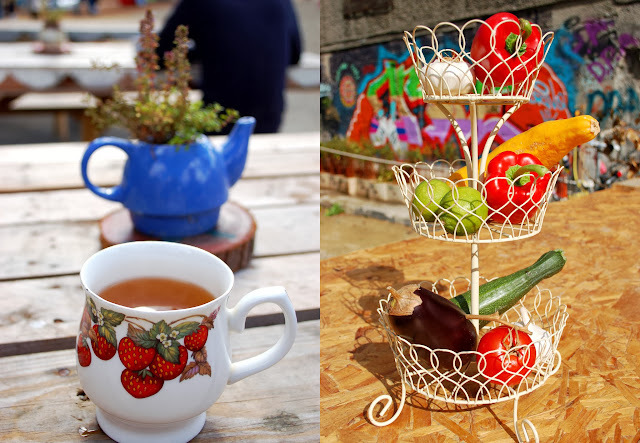 It's an amazing space for people all ages: full of colours, creativity and positivity. Bunting, quirky lampshades, sculptures, plants in shoes and many more little details make it a true wonderland. There is the dream farm where you can water the plant. A herb garden, a secret garden and lots of plants all around. The Granby Grazer is a little cafe selling inexpensive drinks and food such as salads, curries or sandwiches. Mr. FFID and I sat down at one of the wooden tables with a cup of tea, enjoying the relaxed atmosphere and a bit of sunshine. Live music, classes, poetry reading, activities for kids and many other events take place in the park. I wish it would stay there forever but Granby park will only remain until the 22nd of September. Have you been to Granby? What did you think?